Welcome to Hollywood Signs, a new monthly column by Mark Harris. After issuing a pro forma apology that got a verdict of “Not good enough” on social media (admittedly, that is social media’s favorite verdict about everything, which doesn’t mean it was incorrect), the Academy quickly agreed to meet with the signatories face to face. And by the end of the day, Academy president Cheryl Boone Isaacs, the quiet, politic, and very determined woman at the center of what has become one of the major pivot points in Academy history, had gotten the governors to sign off on a set of reforms that, if they work, will literally and figuratively change the face of the Academy. This is no small accomplishment. Isaacs, a longtime publicity executive for Paramount and New Line, was first elected in 2013, one year after a Los Angeles Times study of Academy demography showed it to be even more overwhelmingly white than its detractors had imagined. Some Academy-watchers greeted that report with a shrug — whaddya gonna do, the Oscars only reflect industry inequities, it was ever thus. Isaacs did not; she viewed the information not as an intractable misfortune but as a call to action. 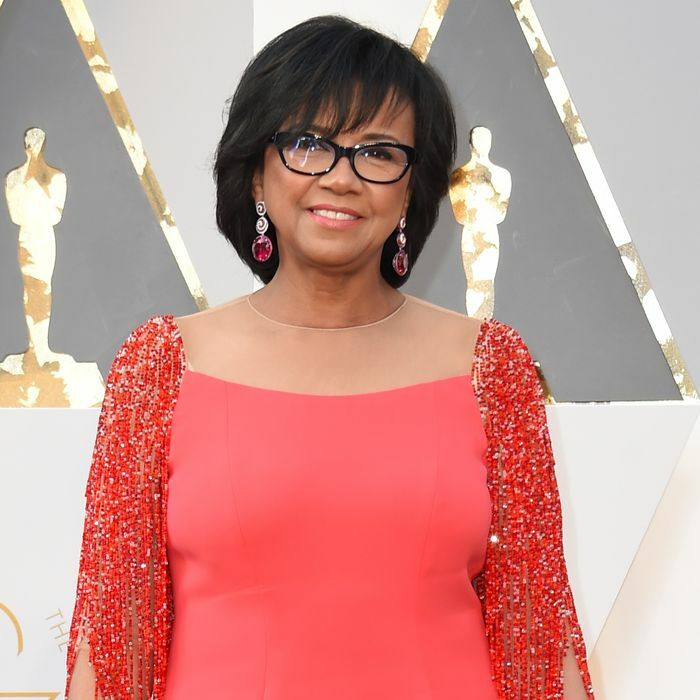 The 35th president in AMPAS’s 89-year history, she is the first person of color to be elected to the post, and only the third woman. The first, Bette Davis, quit angrily in 1941 after just weeks on the job, disgusted to realize that she had been given the gig as a mere figurehead. Isaacs is in no danger of suffering a similar fate. But cultural issues don’t tend to hit the boiling point when optimum laboratory conditions suggest they “should.” They explode because they have to, and, whether because Black Lives Matter had gained immense cultural currency and urgency over the previous 12 months or because the issue of diversity in the movie industry as a whole had moved to the center of the conversational agenda, this was the moment. The resulting fury hit the Academy hard and fast. Tonally, the pieces ranged from “Don’t listen to those people, they’re just sore losers” to “I still have value” to “This isn’t fair.” Many of the angry voters noted, with justification, the danger of stereotyping a group of people as anti-diversity just because they’re older and/or inactive in the industry. But the language and rhetoric some of them used as they fumed about “political correctness” and suggested the whole thing was an overreaction to bad publicity made it clear that those who just don’t get it — people who continue to equate diversity with a lowering of standards and insist that racial bias plays no role in an almost entirely white organization — constitute a real and longstanding Academy demographic. On Tuesday, Isaacs and the Board agreed to tweak some of their revised standards for voting: A member’s 30 years of active work don’t need to have taken place entirely after the invitation to join (thus, Angie Dickinson, in movies from 1955 through 2004, is saved, which seems only fair!). The Academy reiterated that an appeals process will be available to members, and branches will have latitude to set their own standards for “active,” the definitions of which may be different for, say, an actor, a working writer whose scripts haven’t resulted in recent onscreen credits, and a studio executive. However, when all is said and done, a few hundred of the Academy’s 6,000-plus members will likely have to surrender their voting rights. Some might argue that the anger aimed at Isaacs and the Board over these changes represents the purest form of privilege — a body of white people used to holding power and unwilling either to loosen its grip on it or to imagine that it should. But I think a sense of powerlessness may have had more to do with it. The voting initiative exposed a massive fault line in the Academy — a divide between members who were invited to join because of their achievement and those for whom being invited to join was the achievement. For the latter group — which is among the least active in the industry but the most present at Academy screenings and events — this decision threatened to add insult to the injury of not being able to get work, or the injury of the suggestion that a career in television is a step down, or the injury of losing the certainty that, at least when you fill out your ballot, you have exactly the same impact as Steven Spielberg or George Clooney. This is, in some ways, a challenging moment for the Academy. Ratings for the Oscars ceremony aren’t what they used to be — this year’s broadcast hit an eight-year low. That slippage shouldn’t matter, since with around 35 million viewers, the Oscars are still, by far, the highest-rated non-sports show of any kind during the TV season. But it does, because the Academy is deep into a $350 million, years-in-the-making attempt to expand its brand by building a museum, and ad revenue from the ABC telecast represents a major chunk of its business plan. Given that, Academy-on-the-precipice stories have become such a journalistic norm that it’s now an easy go-to to portray it as an institution perpetually in crisis and either over- or underreacting. In the face of those pressures, Isaacs’s calm decision to hold firm on the initiatives — and to rip the Band-Aid off all at once — was not only levelheaded, but indicative of a deep understanding of Academy history. When #OscarsSoWhite started making news, many people complained that the Academy was being scapegoated for a larger industry issue. But that accusation is a way of saying the Academy can only serve as a reflection of Hollywood, not a leader of it — a belief that history refutes. During World War II, for example, the Academy took an active role in coordinating efforts that involved the War Department and the studios. So if Isaacs wants to argue that an institution meant to celebrate the best of an industry should also demand the best of that industry, she’s on very solid ground. “This isn’t unprecedented for the Academy,” she wrote in her initial statement promising changes. “In the ‘60s and ‘70s it was about recruiting younger members to stay vital and relevant.” The Academy president back then was the unsurpassably authoritative Gregory Peck; nobody would have dared accuse Atticus Finch of succumbing to the forces of political correctness even if the phrase had existed. His push to overhaul the membership roster helped modernize the Oscars and freshen the nominations just as American studio filmmaking was undergoing a major revitalization. Today, he’s remembered as one of the most influential of all Academy presidents. Isaacs seems likely to join him on that short list. She’s been elected three times, and this spring, she will decide whether to run for a fourth (and, by the Academy’s bylaws, final) one-year term. Whether she does or not, her place in Oscars history may be secure. Will the initiative succeed? If you define “succeed” as “create an Academy composed of people of more varied backgrounds and perspectives that in turn demands more of those perspectives from its art and rewards the best of them,” then, you know, yes, of course it will succeed! How could it not? Inevitably, there’ll be some reactive griping about “lowering the bar” in order to increase Academy diversity, but so what? Nobody familiar with AMPAS’s past admission practices can argue that it ever honored a bar — if one even existed — with any consistency. And equally inevitably, we will probably overmonitor progress, claiming victory or defeat based solely on what happens to, say, this year’s Sundance prizewinner The Birth of a Nation, a version of the Nat Turner story written, produced, and directed by its African-American star Nate Parker that was already being burdened with the label “test case” before the print was even flown back from Utah. But this can’t be about one movie, one artist, one redemptive win, or even one year. If the nomination roster next spring, or in 2019, or 2021, looks enough like America not to generate an OscarsSoAnything protest, that will be a victory. And for that, some credit will surely have to go to Isaacs’s determination to treat diversity not as an irksome public-relations issue that will just blow over but as an actual goal — and to lead the Academy, despite some kicking and screaming, to do the same.